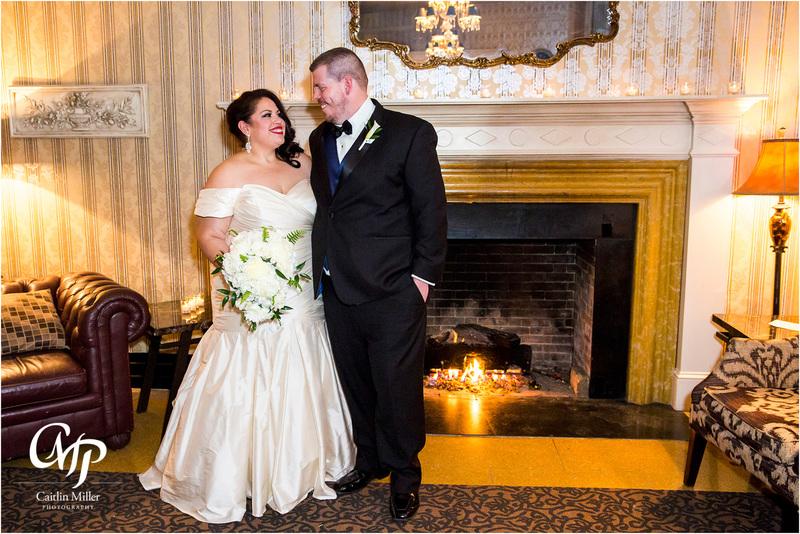 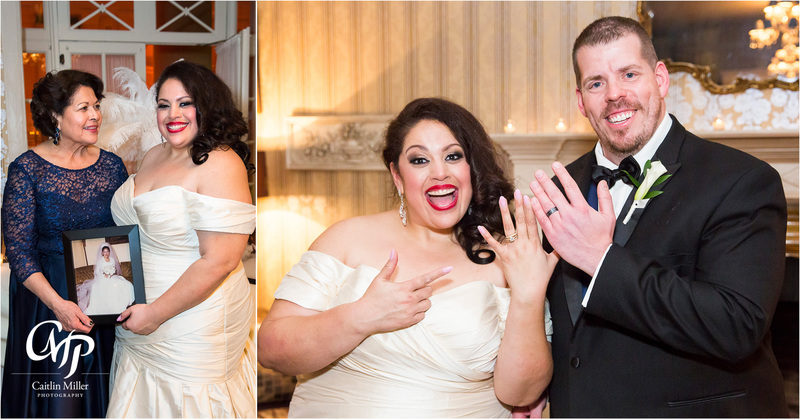 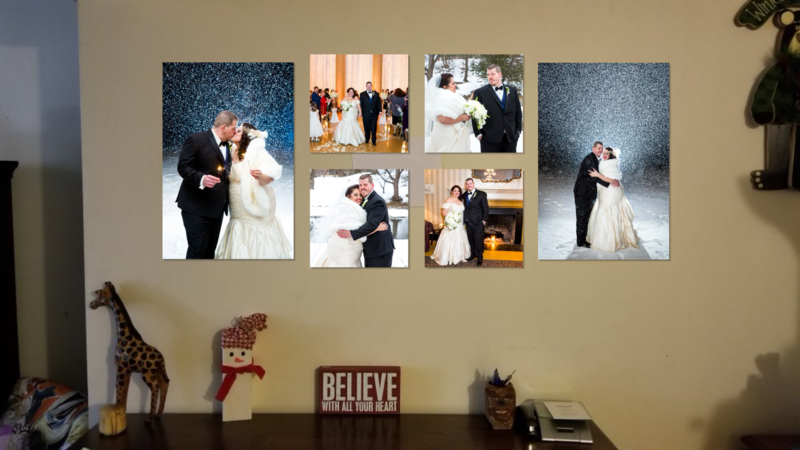 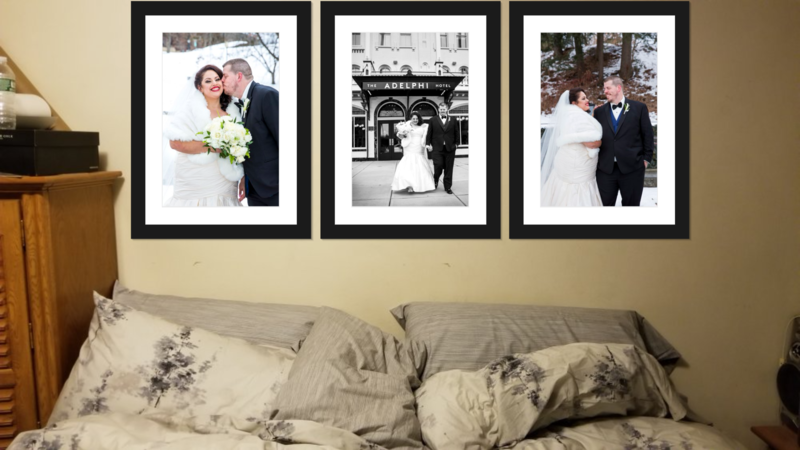 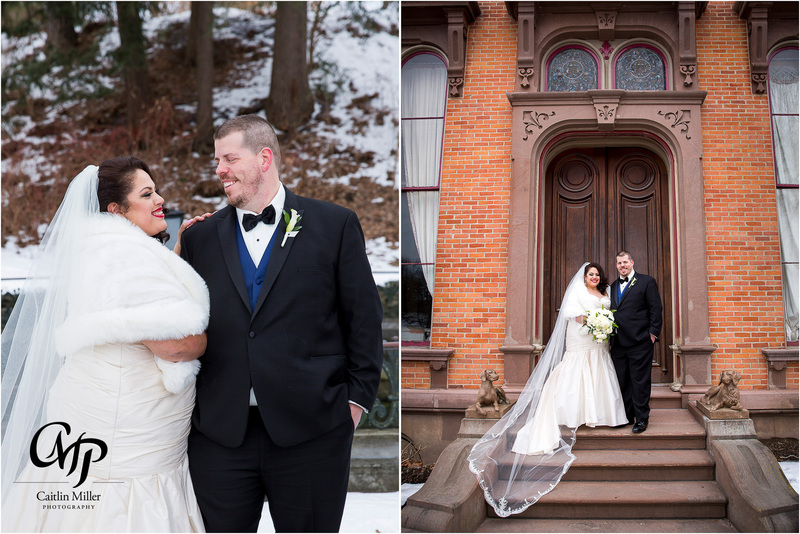 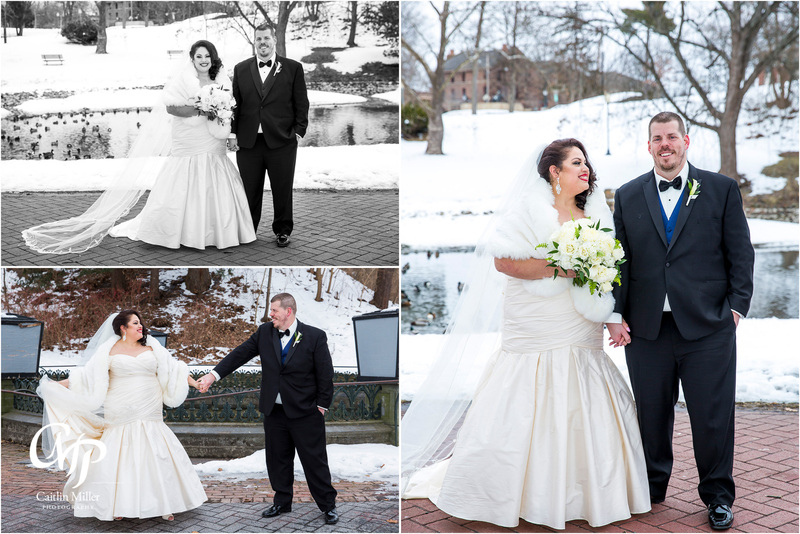 Earlene and John’s snowy wedding day began in the suites at the Pavillion Grand Hotel in downtown Saratoga Springs. 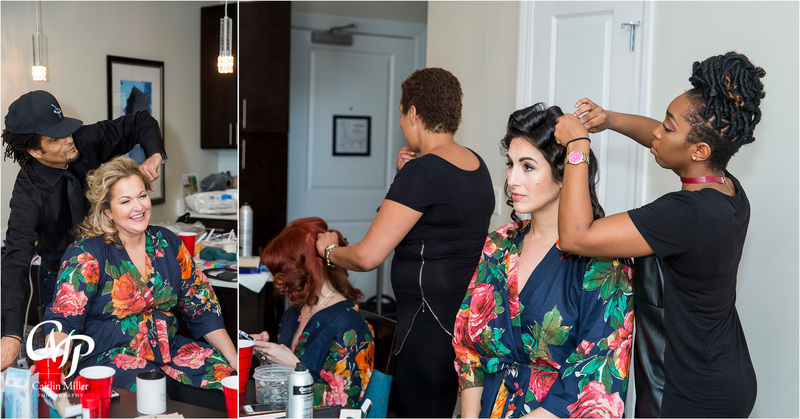 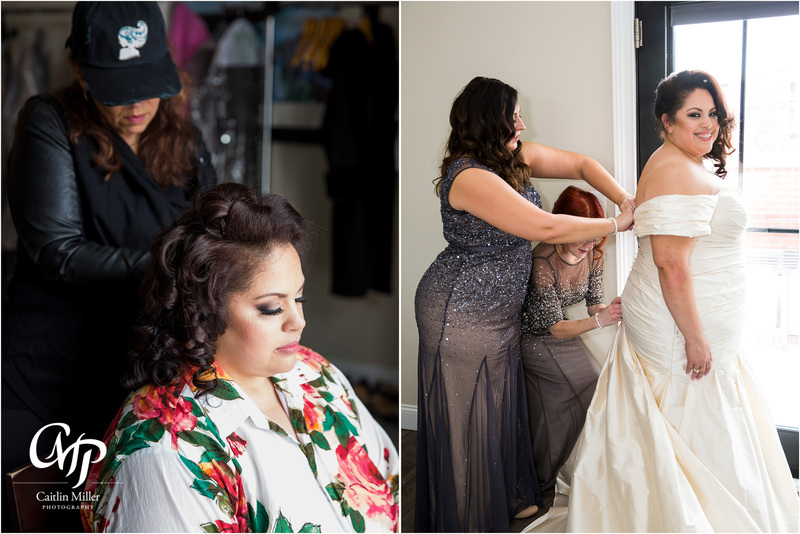 Earlene and her many bridesmaids got ready with hair and makeup by Relish Salon, while John and the boys got ready downstairs. 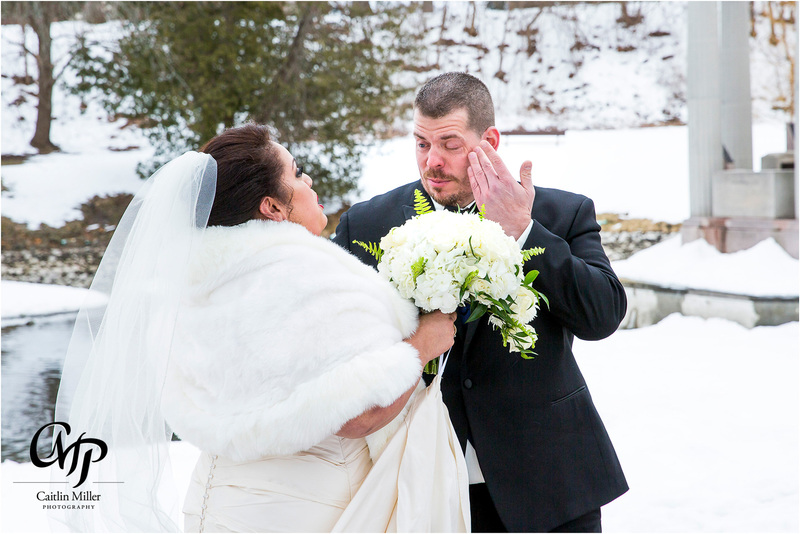 The girl’s stunning bouquets were designed and delivered by Blooms, and truly captured the magic and romance of a winter wedding. 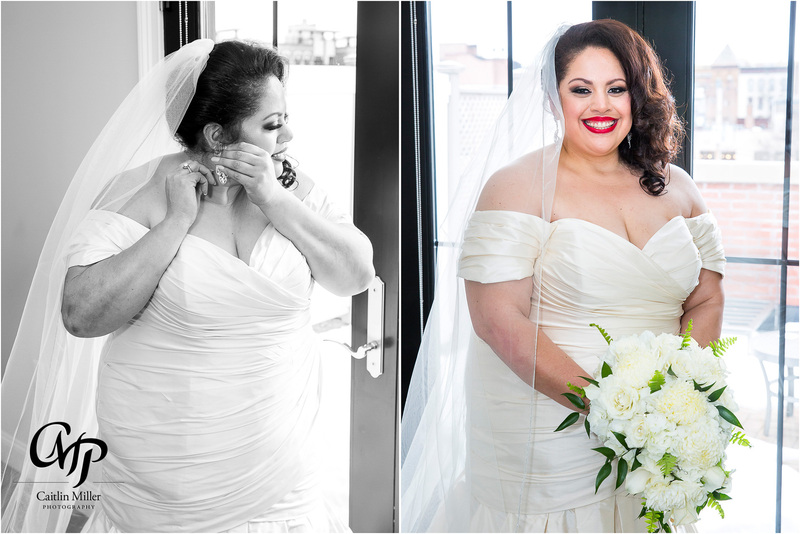 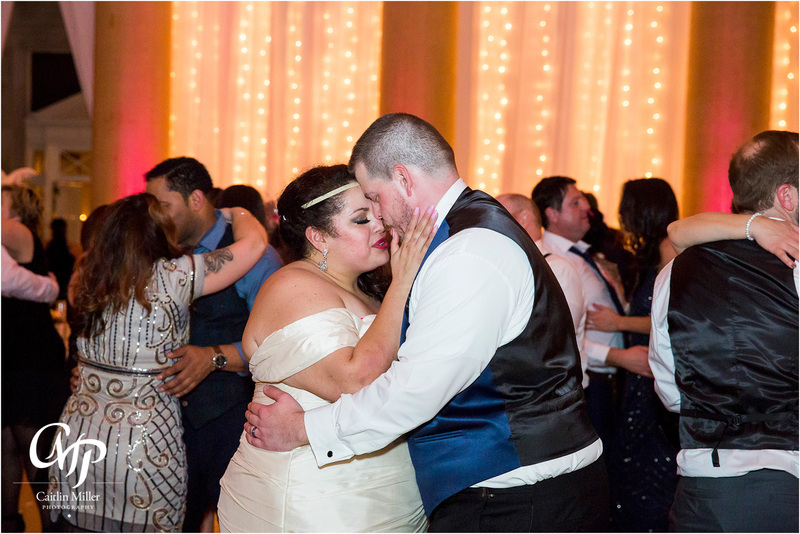 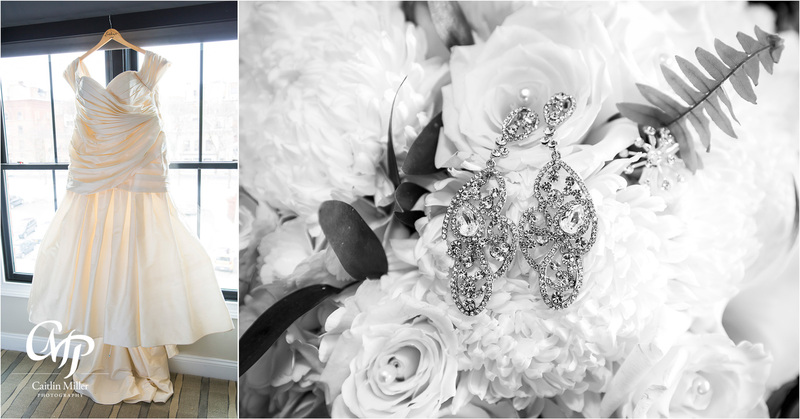 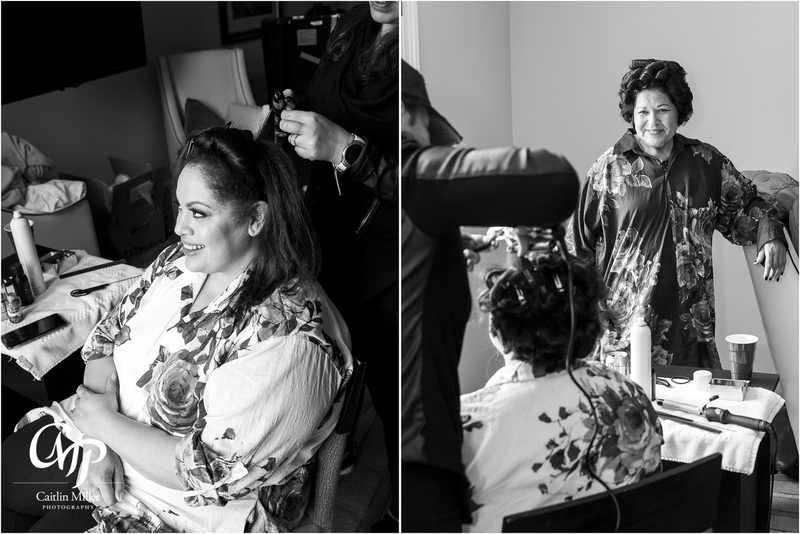 Earlene donned an elegant dress from Something Bleu Bridal as she got ready to travel to Congress Park for her first look with her groom-to-be. 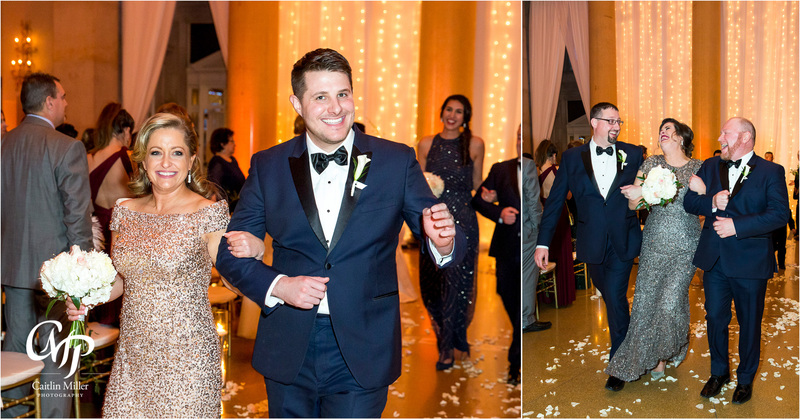 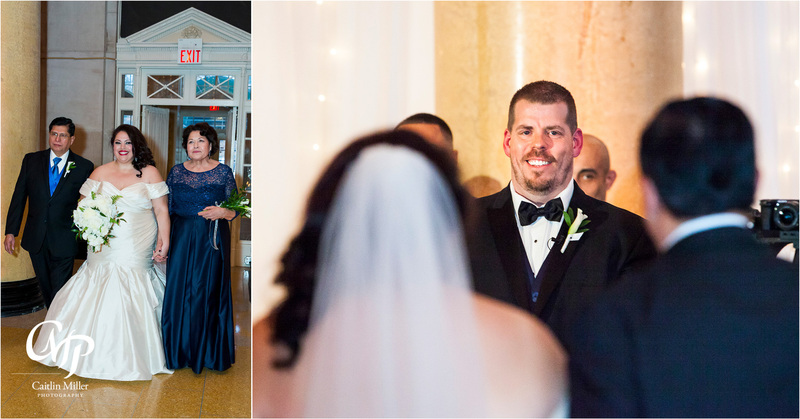 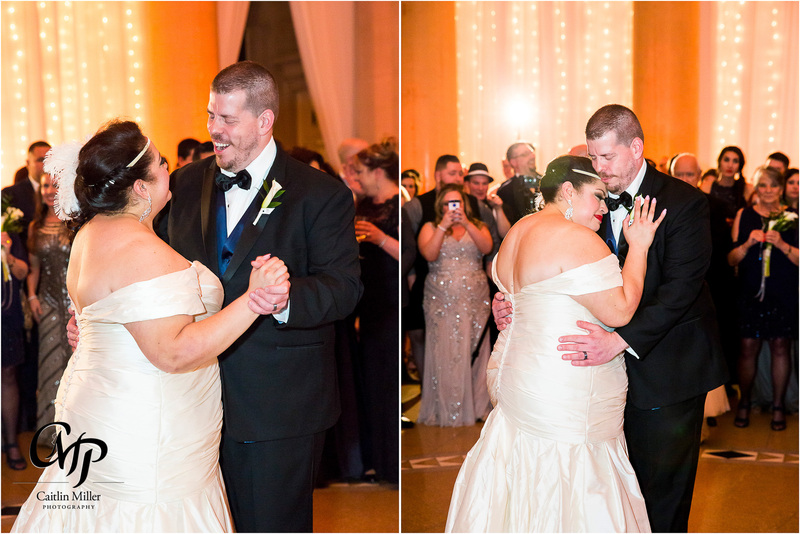 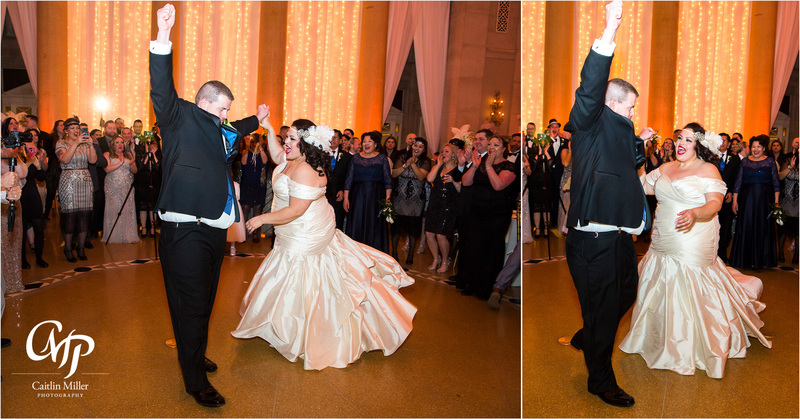 Josh from A Moment to Share and I captured the couple’s teary first look – complete with smiles, tears and laughs. 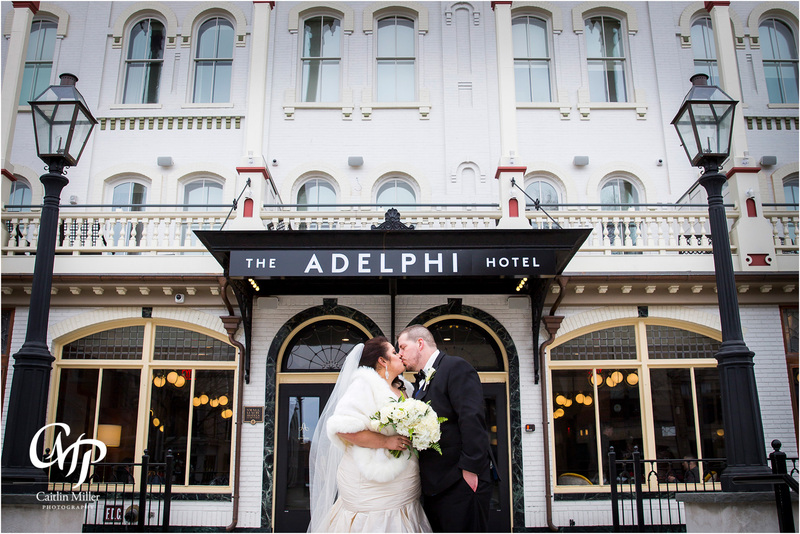 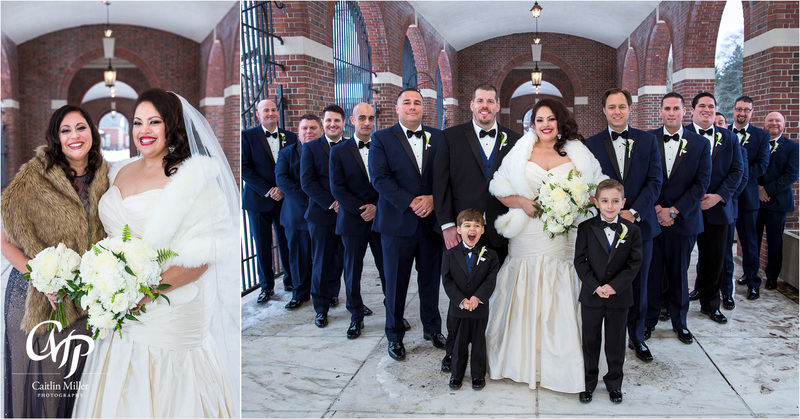 A chilly photoshoot followed at Congress Park and the newly renovated Adelphi Hotel in downtown Saratoga before the couple headed to the Saratoga Hall of Springs in a classic Rolls Royce. 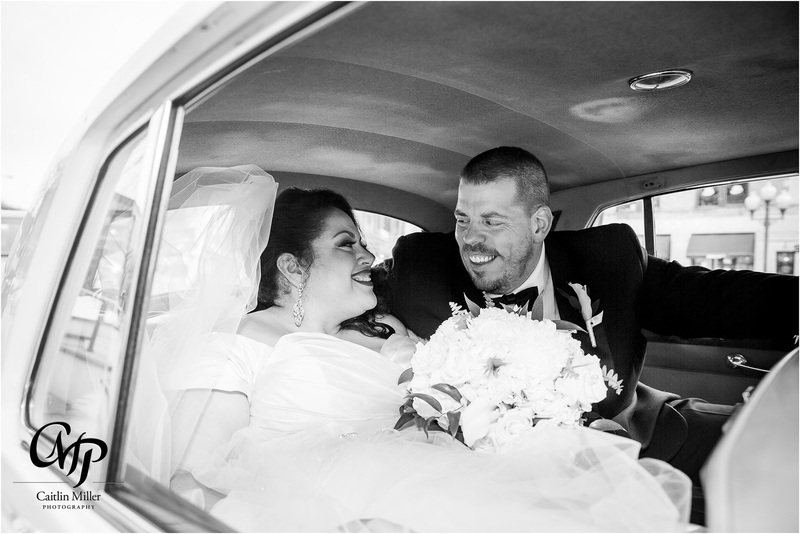 Talk about traveling in style! 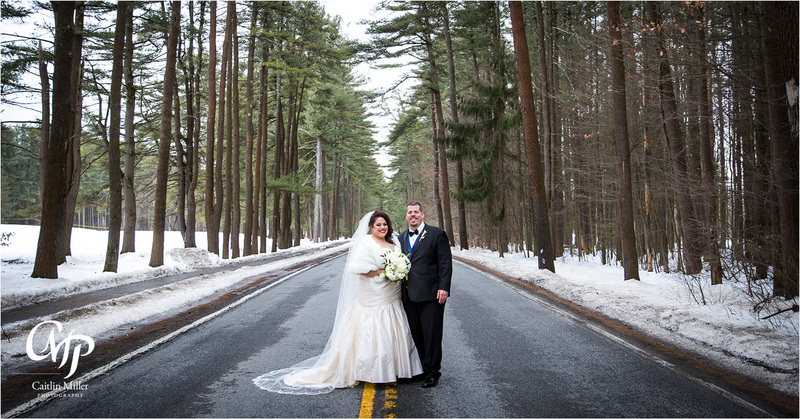 Upon arriving to the venue, this couple literally stopped traffic for some dramatic photos along the Avenue of the Pines. 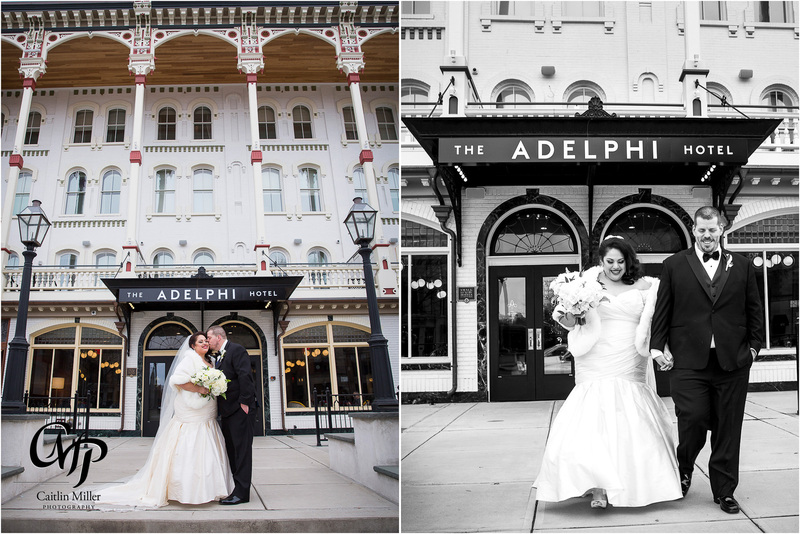 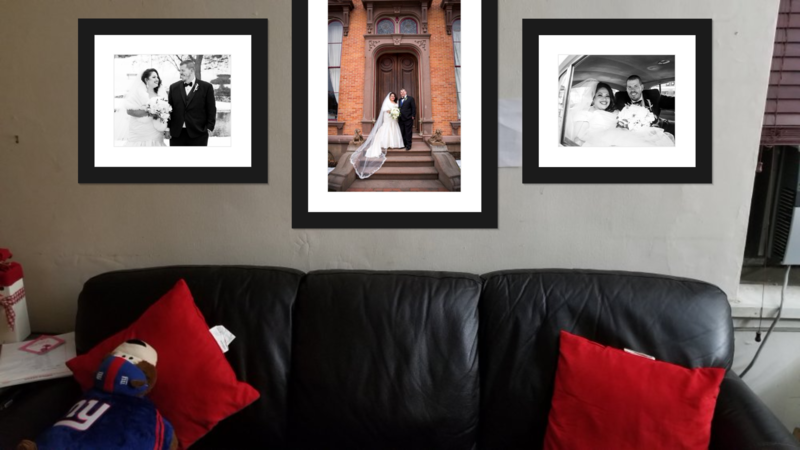 Earlene and John are my favorite type of couple – up for anything to get the shot! 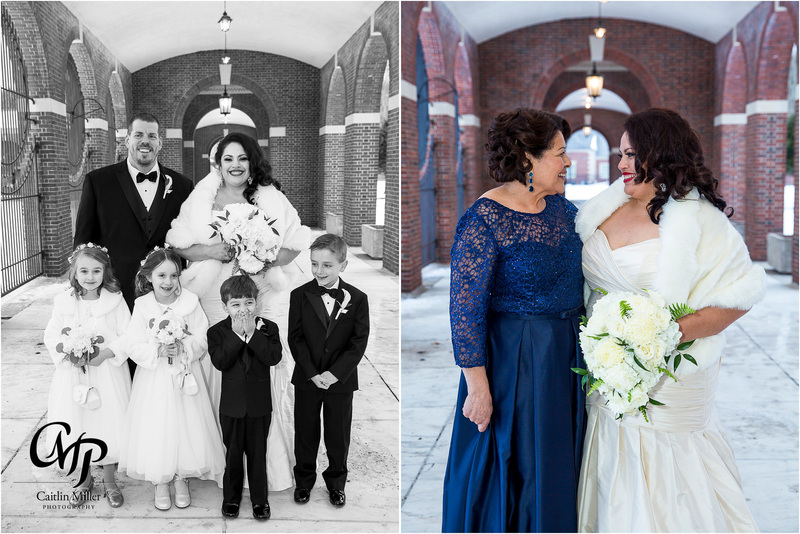 Formals with family and the bridal party followed. 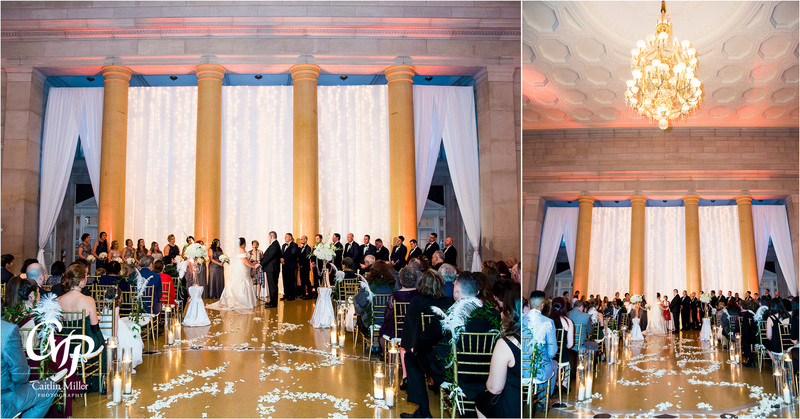 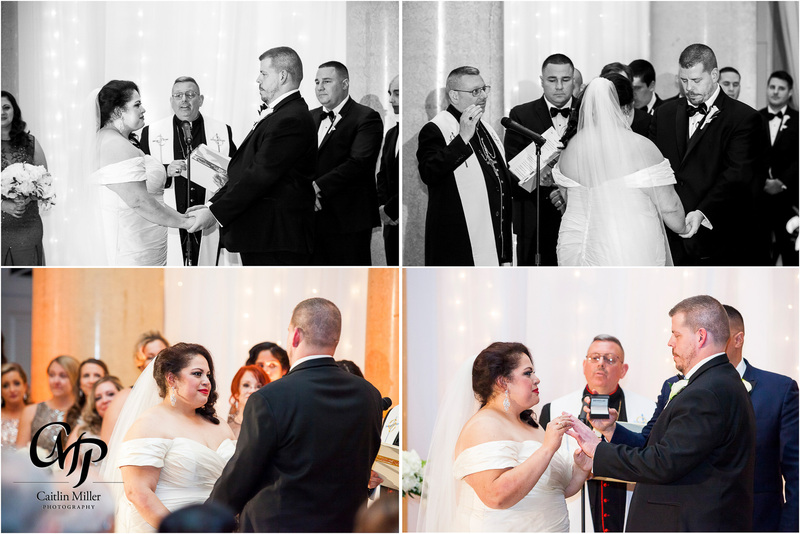 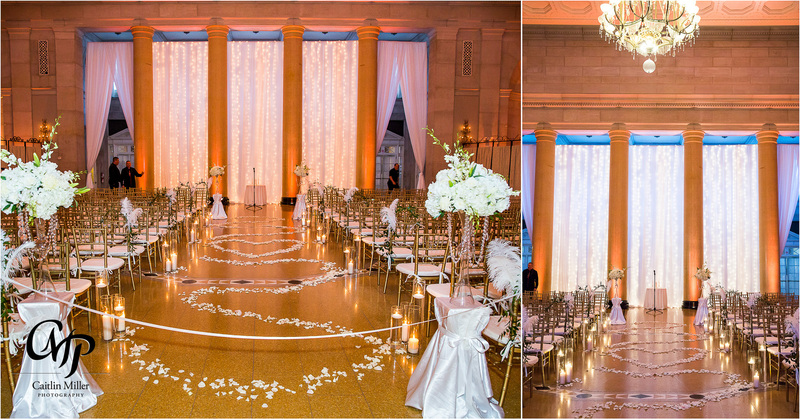 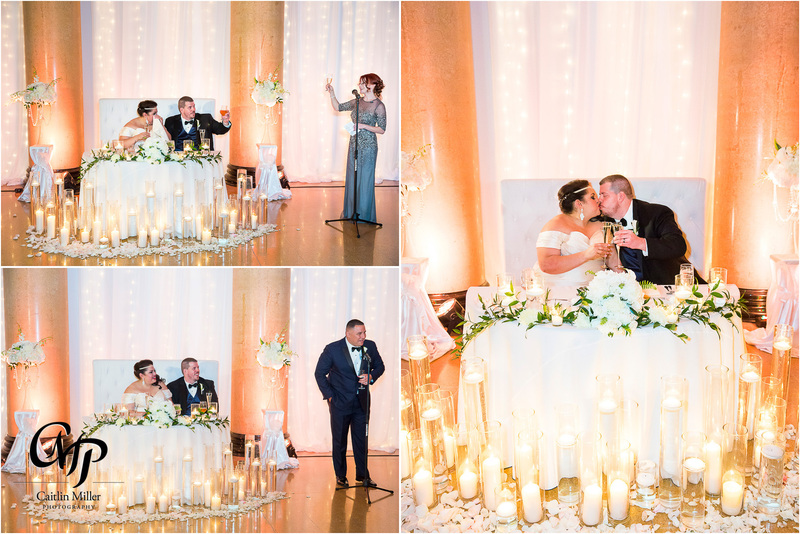 The couple then shared vows and smiles during their candle-lit ceremony against the dramatic columns of the Hall of Springs – led by Father Christopher Richard. 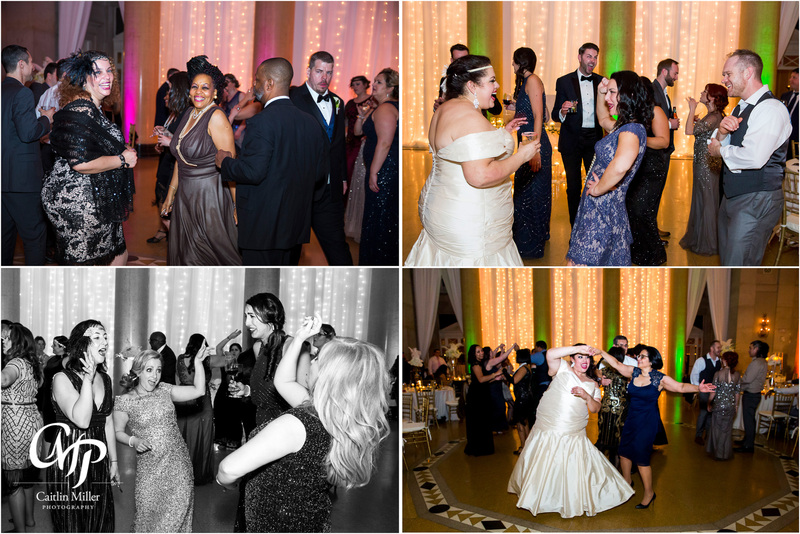 Total Entertainment got the room rocking for the reception and guests came ready to party! 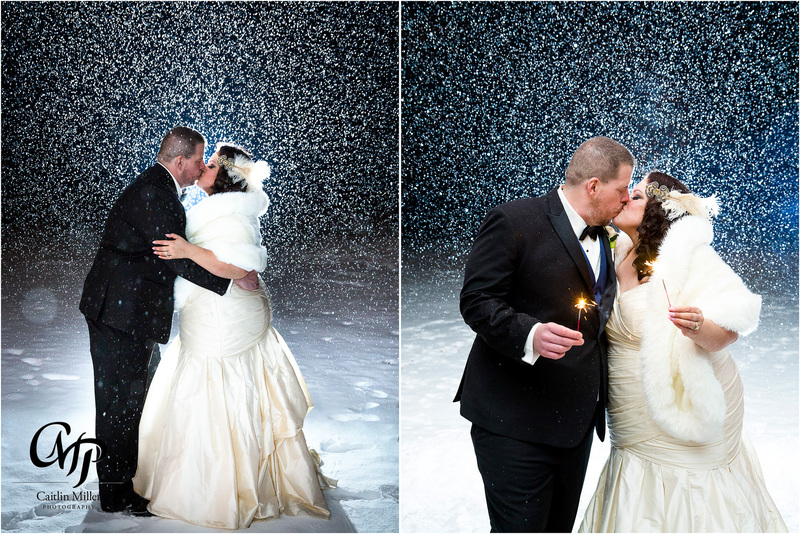 The newlywed’s wish for “a little winter magic” came true later on in the night, as we stepped out into the falling snow for some backlit snowstorm photos. 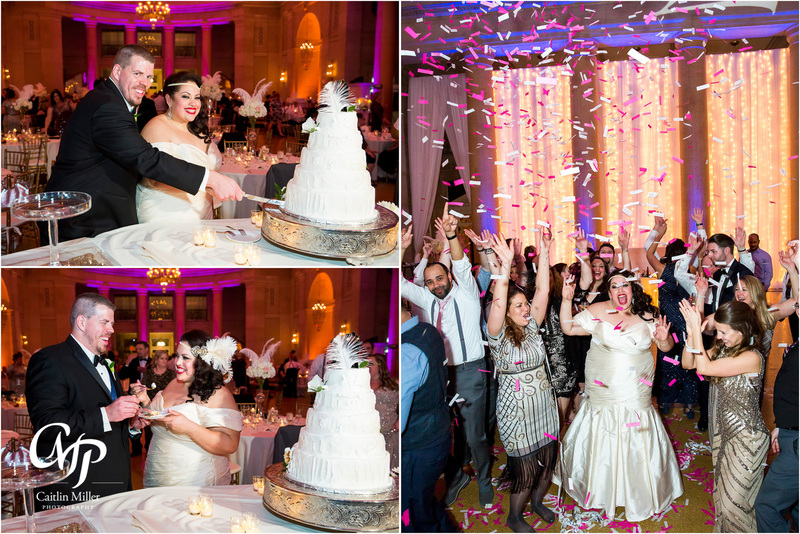 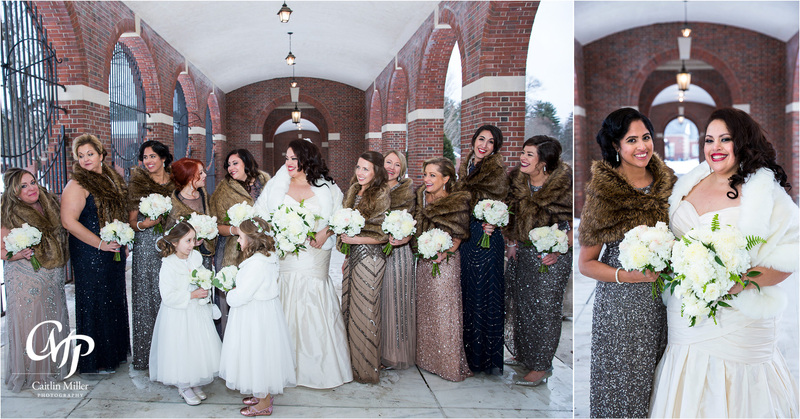 Every winter wedding needs a surprise snowfall and sparklers! 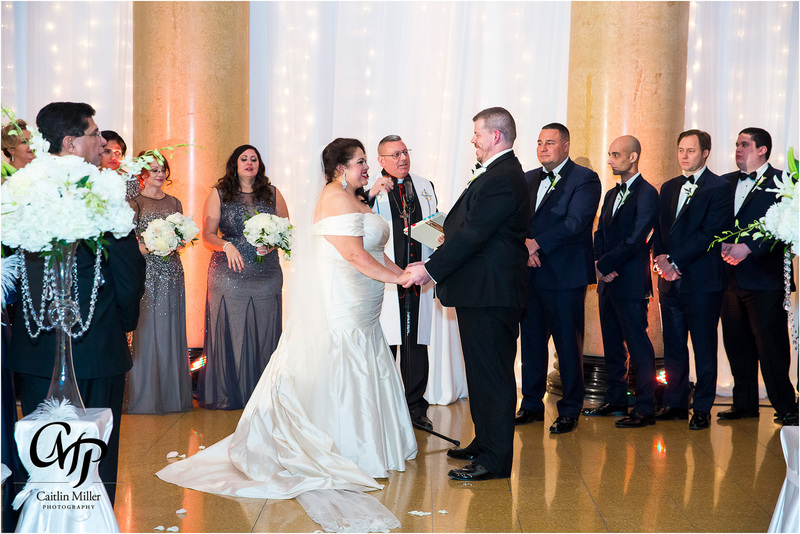 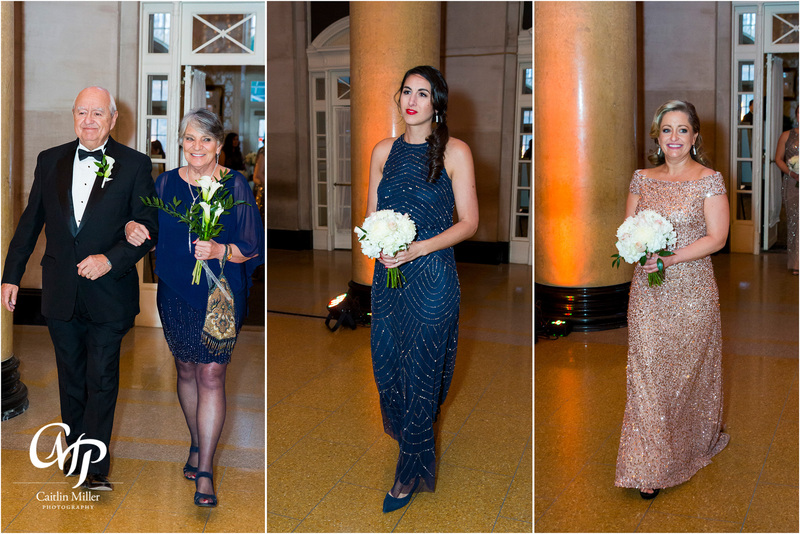 Special thanks to Sarah from Bisou Weddings and Events for seamless wedding planning and coordination, and to Mazzone Hospitality for wonderful staff (I’m talking about you Pam!) 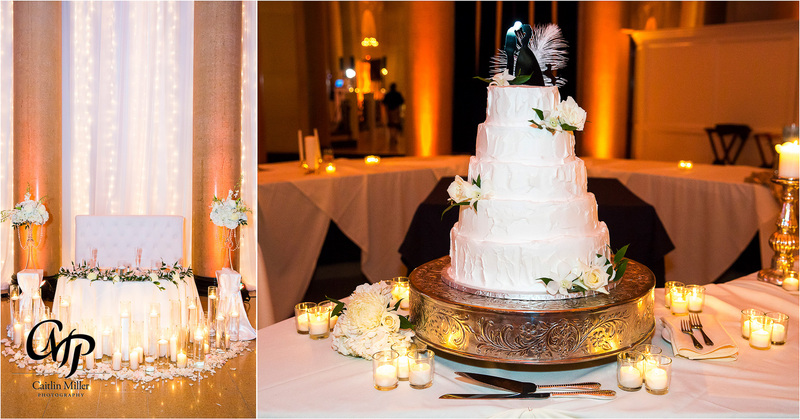 and delicious food, as always!